Showing this key card at time of purchase entitles you to special deals and offers at over 100 of the best places to EAT, STAY and PLAY in Mississippi all year long. Show your plastic keyring card to redeem over 100 VIP reusable perks to our favorite spots to eat, stay and play statewide. Need a smaller quantity, visit our regular pricing page here. Want to order by phone? Call us at (601) 852-3463. Don’t take it from us. Here’s what our members are saying! What multi-use perks are available in the Capital / River Region? County Seat » Show card for special chef selected prize! Fannin Mart » Get a Big Fannin for the price of a Fannin Plate. Iron Horse Grill » Free Queso appetizer with purchase of entree. Limit one per table. The Manship » Buy One, Get One FREE Wood Fired Pizza. Lunch only. What multi-use perks are available in the Coastal Region? Cotton Blues » Complimentary specialty drink or dessert with entree purchase. What multi-use perks are available in the Hills Region? What multi-use perks are available in the Pines Region? What multi-use perks are available in the Delta Region? How do I know where to use my Mississippi Perks Pass keychain card? This mobile-friendly listing will always be up to date. You can also keep your eyes open for window stickers at the best locally owned and operated restaurants, lodging and attractions around Mississippi. When will my Mississippi Perks Pass arrive? 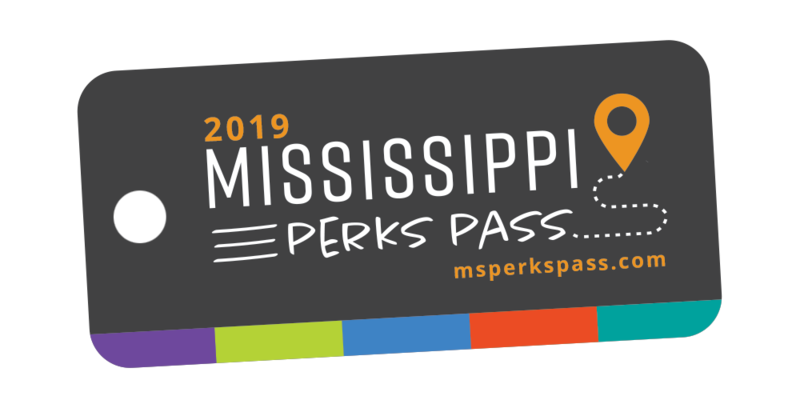 The 2019 Mississippi Perks Pass will begin shipping on November 15. Orders placed after November 15 will be shipped within 2 business days after order is placed. We do have some “rules” when it comes to redeeming your multi-use perks that are important to keep in mind. I’m a huge fan of the EatJXN Card. How is this different? The Mississippi Perks Pass is the statewide expansion and replacement of the EatJXN Card. The EatJXN Card program ceased to exist on December 31, 2017, and it was replaced by the Mississippi Perks Pass. With more than TEN TIMES the real value of the former card program, the Mississippi Perks Pass provides a immense upgrade in our network for our loyal fans. Remember, the Mississippi Perks Pass makes a great gift for your Mississippi friends, family and colleagues! Do you offer corporate gifts, wholesale or bulk orders? Yes! Please inquire about our corporate / wholesale / bulk pricing and delivery options by calling 601-852-3463 or email andy@eatcities.com. Call 601-852-3463 or click here to message us with your questions, feedback or ideas, technical issues or to order outside of our web site. You can also just call to say hello – we’d love to chat with you. Do you have a restaurant, hotel or attraction that would like to participate in the Mississippi Perks Pass Program? There's still time!